Advertising goliath WPP has been thrown into chaos after Sir Martin Sorrell’s acrimonious exit ended more than three decades in charge. The 73-year-old advertising king abruptly quit late on Saturday night after growing “fed up and p----- off” during an investigation into alleged misconduct, sources close to Sir Martin said. His departure leaves one of the UK’s biggest companies facing serious questions about its future as it is forced to begin the hunt for a new chief executive. Industry sources said WPP’s sprawling empire faced the prospect of being broken up without Sir Martin at the helm. The group is made up of 400 companies. One senior figure described his downfall as “a moment in history”. “It wasn’t a boardroom battle but the way they behaved in his eyes, the manner they handled the investigation, in the end he thought ‘I’m 73 years old, I don’t need this s---',” a friend told The Daily Telegraph. His resignation is being treated as a retirement, putting him in line for a payout of up to ?20m in the next five years. Sir Martin transformed a tiny wire basket manufacturer he acquired in the Eighties into an international giant worth more than ?20bn. Mark Read, chief executive of WPP agency Wunderman, and Andrew Scott, WPP’s corporate development director, have been appointed joint-chief operating officers of WPP while it searches for a permanent replacement. The longest serving chief executive of a FTSE 100 firm, his exit piles pressure on to a company that has seen its shares dive this year after being hammered by drops in advertising spend, as well as Google and Facebook’s increased dominance in “adland”. Analysts at Berenberg warned before Sorrell quit that the slew of bad news was “unlikely to improve in the short term”. 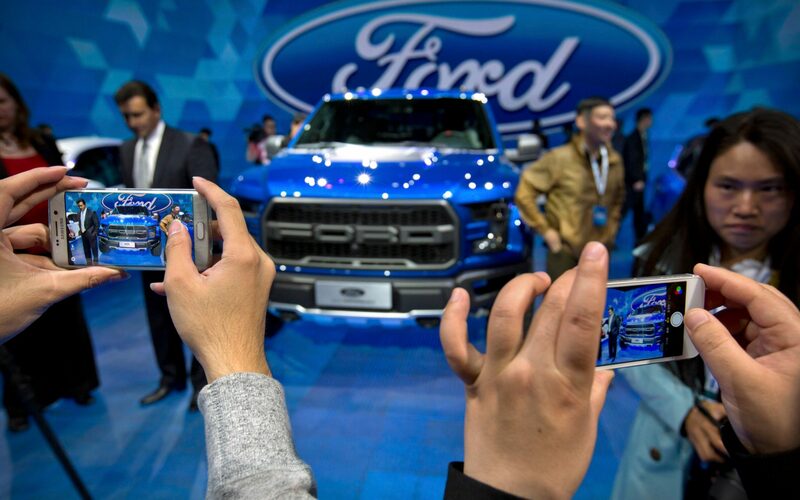 WPP’s biggest client Ford, which accounts for 4pc of revenues, is halfway through an agency review aimed at cutting costs. HSBC, Sky, Shell, Mars and Kimberly-Clark are also in the middle of reviews, it said. Industry insiders expressed concern, arguing that if WPP doesn’t reinvent itself quickly it could be split up. The next boss needs to focus on serious and radical change, urged ad boss Johnny Hornby. “It needs a complete reinvention. Martin could have handled that, but now that he’s gone that transformation still needs to [happen],” said Mr Hornby, who runs London agency The&Partnership. He said it was time for WPP to restructure, sell off its research business and merge its creative and media agencies. “The industry is going through a phenomenal period of change,” he said. David Hero of Harris Associates agreed about Sir Martin's stature. "Sir Martin is a visionary, a legend in advertising and a skillful businessman," he said. "He will be missed at WPP but eventually he was poised to step down. The circumstances surrounding this are regrettable as is a leadership transition without Sir Martin’s direct involvement." Sir Martin has denied allegations of wrongdoing. » What next for WPP now advertising king Sorrell has lost his crown?